Bec Stupak is an artist and director. During the 1990s, she performed as VJ Honeygun. In 2000, Bec became Art Director of New Media at Atlantic Records, but the art world called. 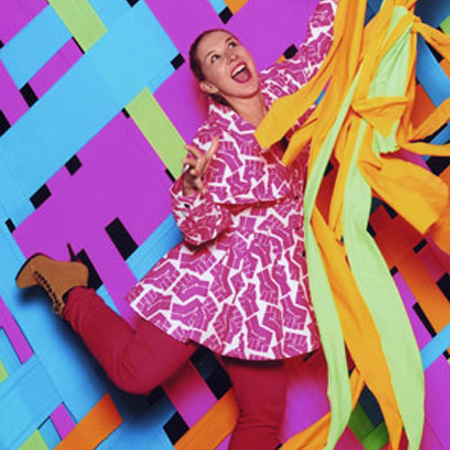 In 2004 her work with art collective assume vivid astro focus was featured in the Whitney Biennial and in 2006, Deitch Projects gave Bec her first solo show, “Radical Earth Magic Flower”. In the same year, she starred in the Artstar reality series on the Gallery HD Network. At the same time, she began directing music videos for a diverse set of clients. Bec’s subjects cover a broad range of artists from Amanda Lepore to Barbie.